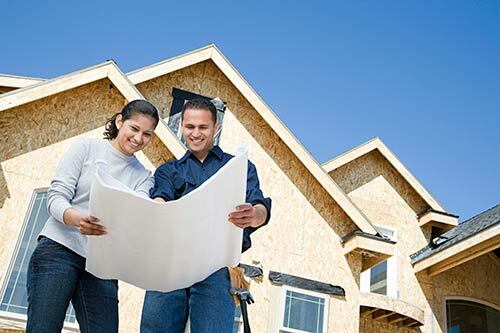 Focus on Energy’s New Homes Program pairs Wisconsin builders with leading energy experts in order to construct new homes that are safer, more durable, and more energy efficient than other homes merely built to code. Which means you can get everything you want in a home; plus one that’s energy efficient. Why choose a Focus on Energy New Home? Peace of mind. At every stage, Focus on Energy works with your builder to make sure your home meets the highest standards for energy efficiency. Lower energy bills. A Focus on Energy New Home is between 15 and 100 percent more efficient than homes built to Wisconsin’s Uniform Dwelling Code. Proof positive. A Focus on Energy New Home provides indisputable proof that your home meets strict standards for energy efficiency, air tightness, insulation, ventilation, and safety. Your Focus on Energy consultant will make sure of it with two site visits and an official certification process. Resale differentiator. Focus on Energy New Home owners who have sold their homes reported that prospective buyers had energy-efficiency on their wish lists.